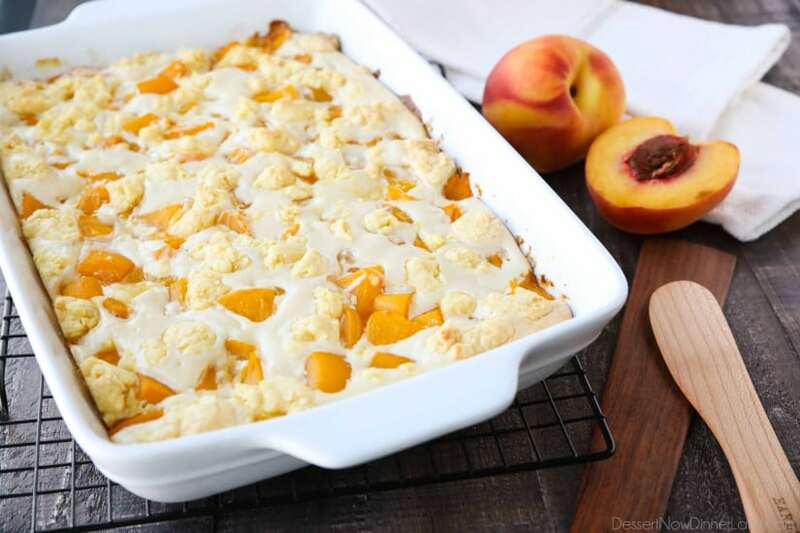 Peaches and Cream Cobbler - Dessert Now, Dinner Later! 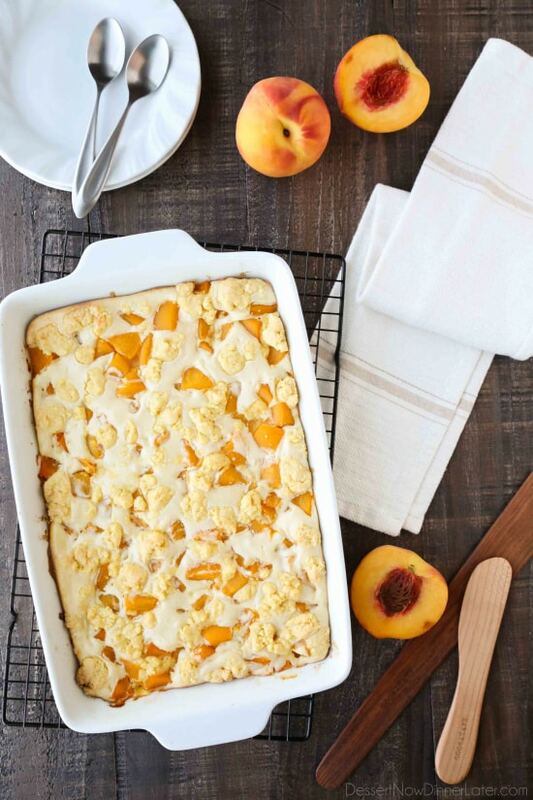 Peach cobbler meets cheesecake in this delicious dessert duo! 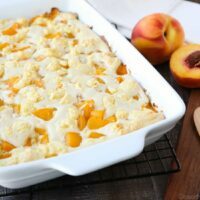 An easy and unique twist from a traditional peach cobbler. There’s cake mixture on bottom and on top, with peaches and cheesecake in-between. Utah Peaches ripen in August and September, and I’m totally ready for the harvest! 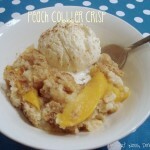 This peaches and cream cobbler recipe is actually one I published almost 5 years ago. I was so excited to make it again and re-share it with you all because it’s a delicious and unique dessert. 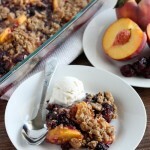 Fruit cobbler has so many variations based on where you live, or what you grew up with. Cobbler is typically a dish consisting of a fruit filling that’s poured into a large baking dish and covered with a batter, biscuit, or dumpling before being baked. In this peaches and cream cobbler, there is batter on the bottom and the top. It’s a stiffer cake batter, almost like a biscuit or crumble, and there are peaches and cheesecake batter in-between the crusts. If you let it cool slightly after it’s baked, you can slice it into squares, otherwise it kind of looks like slop on a plate. Definitely not as appetizing looking — one big reason why I re-did these photos. 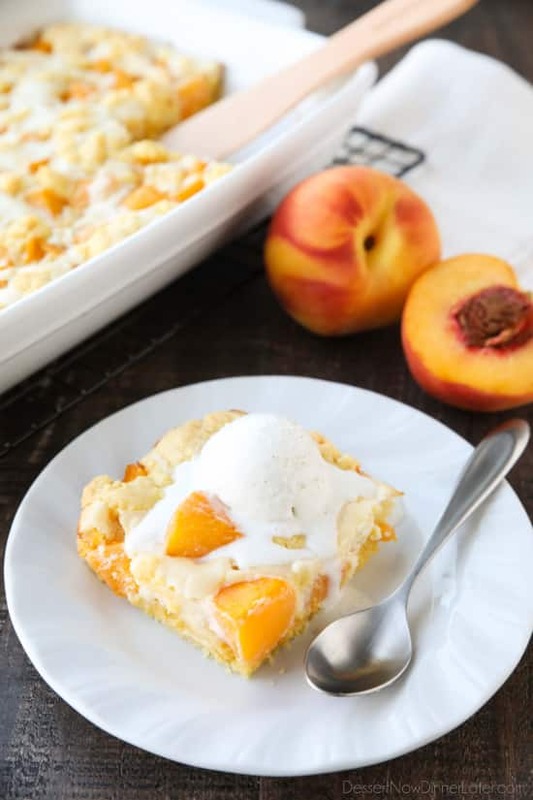 This peaches and cream cobbler is delicious warm with a scoop of vanilla ice cream, or eaten cold like a dessert bar or piece of cake. My kids definitely enjoyed making and eating this again! 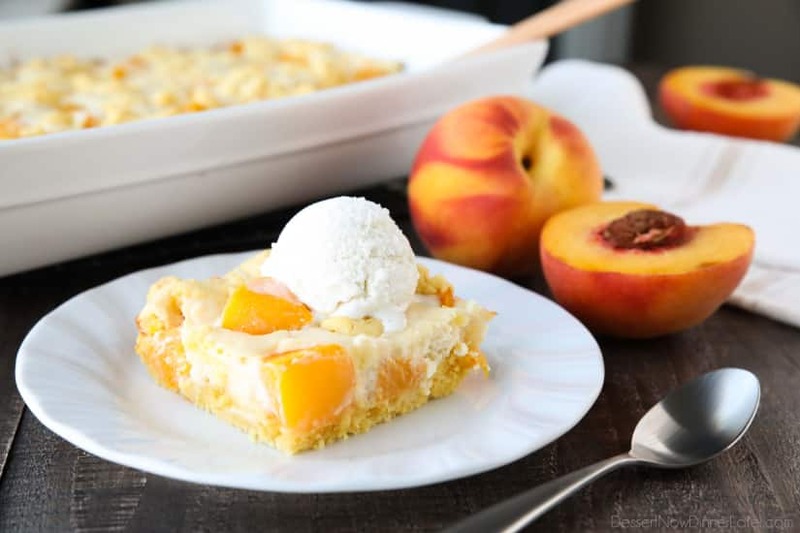 Peach cobbler meets cheesecake in this delicious dessert duo! An easy and unique twist from a traditional peach cobbler. There's cake mixture on bottom and on top, with peaches and cheesecake in-between. In a stand mixer with the paddle attachment, cut the butter into the cake mix until crumbly. Then add ONE egg and mix until just combined. Reserve ½ cup of the crumble for the topping. Grease a 9x13-inch pan and press the remaining crumble into the bottom of the pan. Bake at 350 degrees for 10 minutes. Meanwhile, in a bowl with a hand mixer, beat together the cream cheese, sugar. Add ONE egg and the vanilla. Mix completely. Cool slightly, cut into squares, and serve with ice cream. Store leftovers covered in the refrigerator. Delicious cold or warm. *Use 5 to 6 fresh large peaches, that have been peeled and pitted in place of canned peaches. Recipe from Rachel Schultz & re-written in my own words. This post was originally published at Pretty Providence on July 10th, 2013. Post originally published to my blog on July 30th, 2013. Photos updated 7/29/18. Yes, this does sound delicious and absolutely screams summer! I, personally, am looking forward to moving out of summer and into fall. Cooler days. More of a routine. And soups and casseroles!! YUM! But in the meantime, this looks like something worth enjoying while there’s still a bit of summer left! This is perfect for this time of year. The farmer’s market has been loaded with peaches the last few weeks. I love cobbler! This one looks so easy, I’ll definitely have to give it a try! Especially with all of the fresh peaches that have been showing up at our local farmers market and fruit stands! 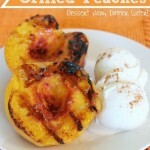 Love that you add cream cheese to peach cobbler! I love that this starts with a box cake mix! This looks soo good. I am glad that you can add canned peaches! Hubby would love this so much! Thanks for sharing. I have all the ingredients at home too!! Oh my! 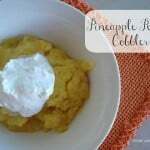 This recipe sounds delish! Peaches are my favorite fruit and this sounds awesome! I’ve pinned this to try and I’d like to invite you to link up to my All My Bloggy Friends party – it starts on Tuesday mornings at 7 am Eastern time and goes until Saturday night! Feel free to share this post and/or any others you would like to share! 🙂 I hope to see you there!